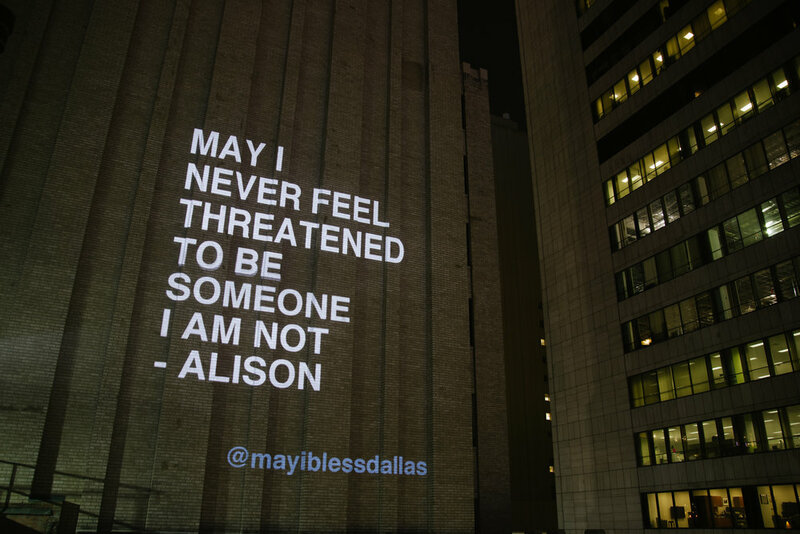 MAY I // a blessing project is a walkable installation of blessings written by local young women for the Dallas community, manifested large-scale via projections, sculptural objects, and vacant retail windows. 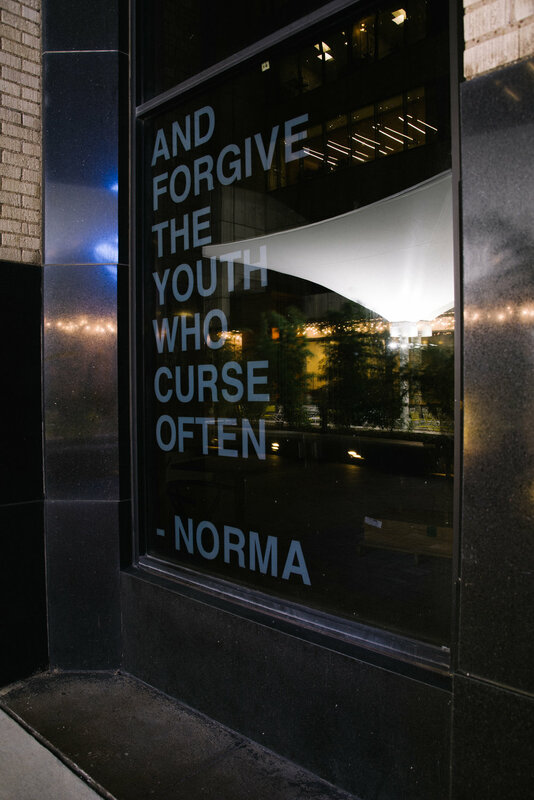 Conceived by Janielle Kastner and Ruben Carrazana, the artists worked with a group of young women (ages 12-18) who wrote specific declarations of hope for themselves (MAY I), for their community (MAY WE), and for their spaces (MAY THIS SPACE). 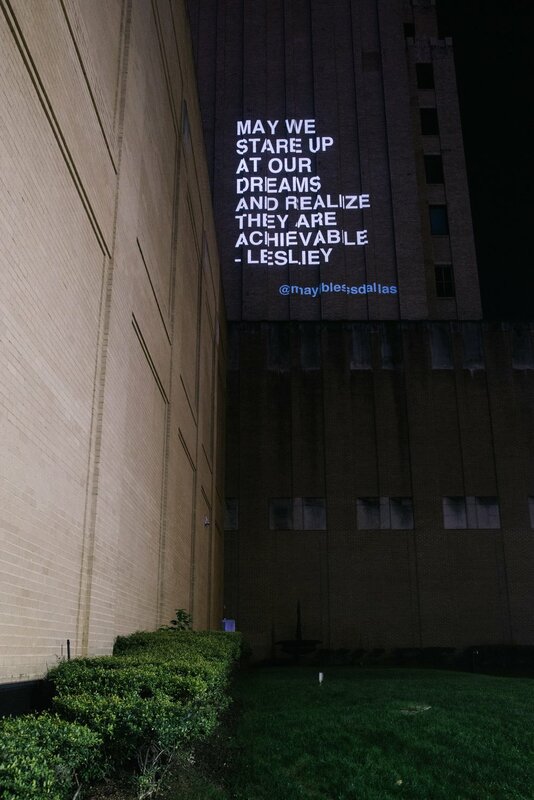 MAY I was a recipient of the Activating Vacancy Downtown Dallas grant through [bc]workshop and Downtown Dallas Inc. made possible by the National Endowment for the Arts. More info, including the installation route, can be found on Instagram and Facebook at @mayiblessdallas and #mayiblessdallas. What if young women already know what they are up against and what they are capable of? What if we gauged the health of our communities based on the experiences of young women? 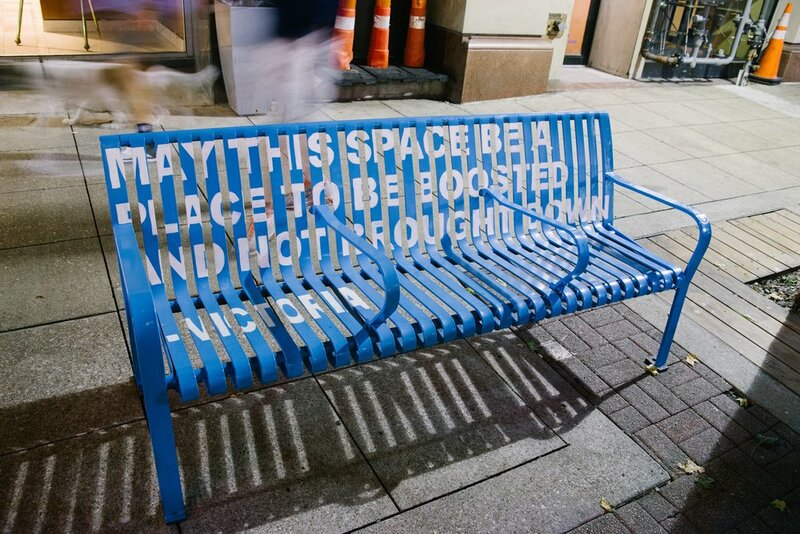 What if we listened first and made art using only what we heard? Devised by Janielle Kastner and Afomia Hailemeskel, Project: GIRL explores the stories and experiences of young women ages 13-18 growing up in the Bronx, NY and Highland Park, TX. Spanning photography, film, sound design, and live performance, Project: GIRL is comprised solely of the words and images from first-person interviews conducted with young women coming of age in disparate socio-economic communities.